When the melody of the "Radetzky March" sounded in the famous Golden Hall of Wiener Musikverein, everyone was touched by the atmosphere of the highlight and the World Orchestra Festival went to its 5th successful end on July 23rd, 2017. Under the motto "One Future", the World Orchestra Festival aims to provide a platform for young as well as adult musicians to perform, to learn, to communicate, to establish and deepen friendships, regardless of the participants' age, origin, religion and cultural backgrounds. The festival is organized annually in Vienna in July each year, supported by the Austrian federal government authorities, the City Government of Vienna, Provincial Government of Burgenland, the world famous Vienna Philharmonic Orchestra, the world famous Vienna Boys Choir, Haydn Foundation and Liszt Cultural Center, a series of NGOs, enterprises and personalities. Since its premiere in Vienna in July 2013, orchestras from Austria, China, Greece, Ireland, Italy, Latvia, Malaysia, Singapore etc. have participated in the festival and brought beautiful memories and friendships back home. The festival is becoming a more and more important music event in the orchestral world and in the world capital of music. After a short musical introduction by the Künstler Ensemble of Vienna, Ernst Woller, the representative of the City Government of Vienna, Prof. Helmut Zehetner - president of the Artistic Committee of the festival and member of the famous Vienna Philharmonic Orchestra, and Prof. Zushan BIAN - the famous conductor from China, Col. Bernhard Heher - head of the music guards of the Austrian Armed Forces, attended the opening ceremony and gave their warm welcome speeches. At last, the brass and wind orchestra of the music guards of the Armed Austrian Forces performed a special concert for the participants and concluded the opening ceremony with the famous "Radetzky March". In front of the City Hall of Vienna, 3 concerts were held on the July 20th, 21st and 22nd. 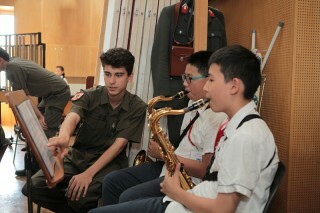 Youth brass orchestras with much music spirit performed in front of the Viennese audience and international guests. A series of concerts were also held in small towns around Vienna, such as Rossatz and Berndorf. The local audience was impressed by the excellent performance of the orchestras and their colorful music works from different nationalities. 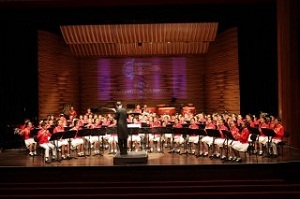 On July 21st, the workshops were held in the MUTH concert hall of the Vienna Boys Choir, in the music rooms at the University of Music and Performing Arts in Vienna and in the Maria-Theresien casern. 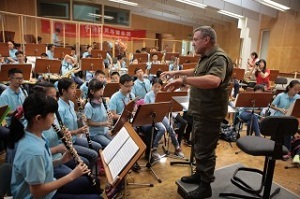 Each orchestra got useful instructions and valued lessons from the world top music experts and educators. It was a good chance to get in touch with the world top music experts and educators and to learn their advanced method and superb performance skills which build a solid base for the further development of the young participants. Competition is not the ultimate goal of the festival. 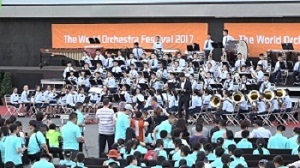 But to encourage further development of the orchestras and their members, the festival provided an open and fair competition on the 3rd day of the festival. The jury consists of world renowned musicians and music educators. 15 orchestras participated in the orchestral competition and gained highly recognition of the jury. Gold, Silver and Bronze awards were given to the orchestras. 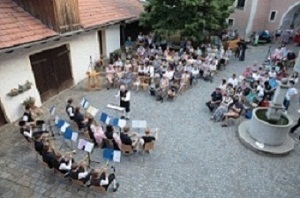 To provide opportunities for the orchestras to communicate with each other, Music Parties were organized at a local Viennese restaurant (Heuriger Restaurant) in the evening of July 21st and 22nd. The restaurant is a traditional Viennese Heurigen restaurant opened in 1746. Countless stars and celebrities have enjoyed their stay in this famous restaurant. The choirs had a good time, and they have sung and danced together, and made new friends and gained new experiences. In the last afternoon and evening, two gala concerts were performed by all orchestras from Europe and China in the famous Golden Hall of the Wiener Musikverein. Each orchestra got the chance to perform alone on the stage. All orchestras gave an impressive and emotional interpretation of their musical capabilities to the enthusiastic audience. 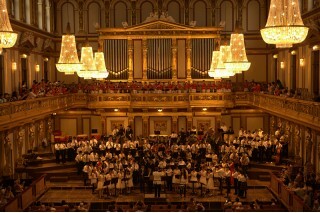 Several orchestras were awarded after the gala concerts with Gold, Silver, Bronze and other special awards. At the very end of each gala concerts, all orchestras came to the stage and performed together the "Radetzky March" which was directed by Prof. Werner Hackl and Col. Bernhard Heher separately. The 6th World Orchestra Festival is waiting for you in July 2018 !